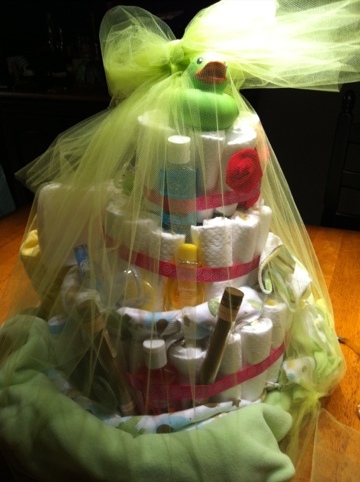 Yesterday I put together a diaper cake for my friend Jen. I bought a pack of diapers and a ton of things like bum rash cream, hand sanitizer, facecloths, wet naps, binkies and other fun stuff. 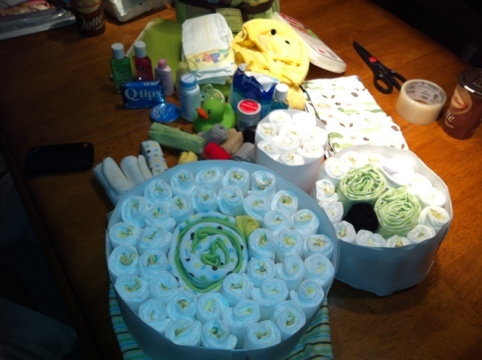 The cake topper was a little green rubber duckie, and I made flowers out of the facecloths. 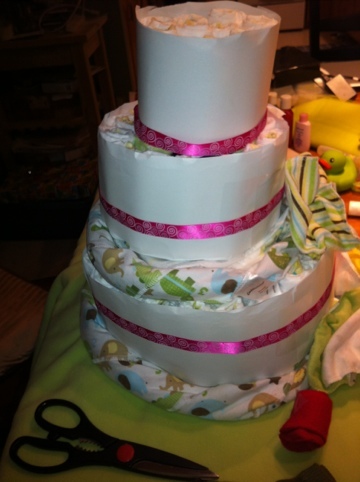 This is the third cake I made, and I’m really happy with how it turned out. 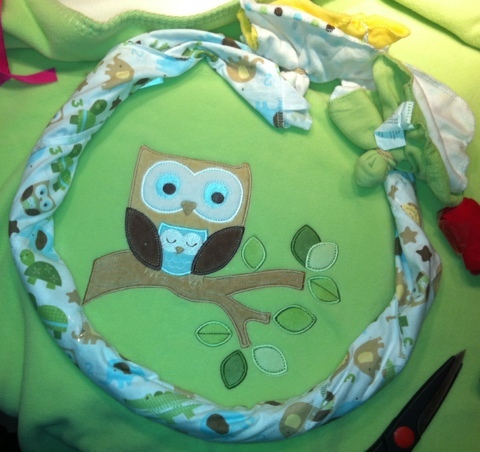 I hope new mommy likes it too!